Citrus Vol. 1 has been released. This is probably old news since its been out since July 18th, 2013. Nonetheless it is still available at amazon jp click here to by your copy. 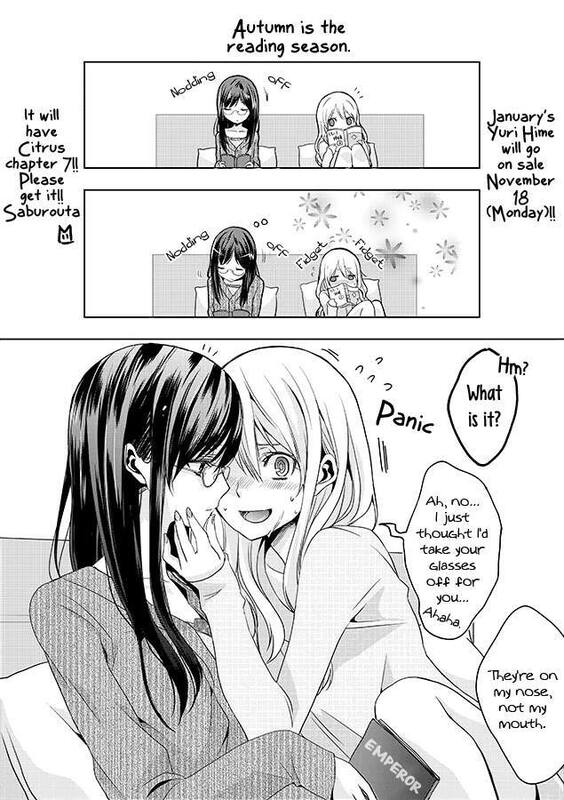 Here is the real news the long awaiting Chapter 7 will be released in Yuri hime magazine which will be on sale November 18th, 2013. 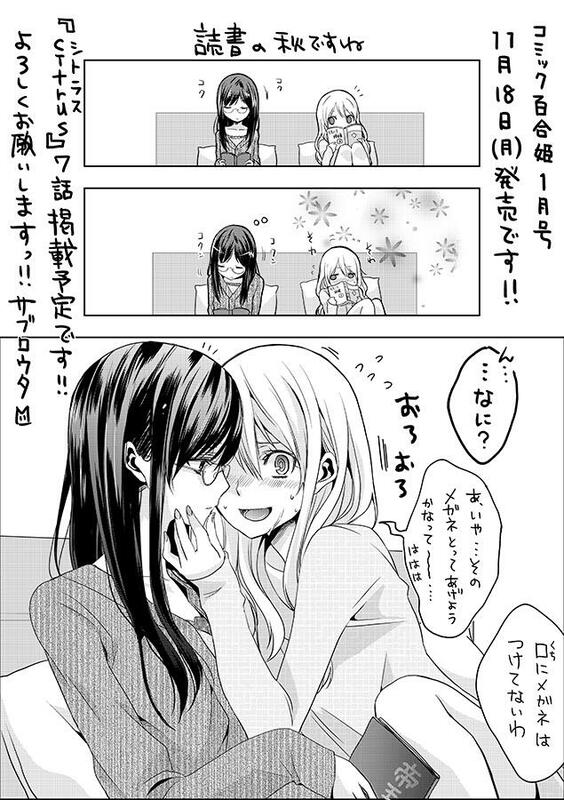 Here is the original reminder picture posted by Saburo Uta via Twitter. So cute! When is it out in english translate online?